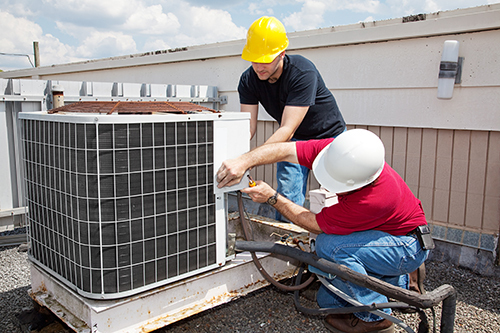 Regular air conditioner maintenance may help prevent AC repair situations in the future. By focusing on the HVAC system’s overall condition, you can stay on top of potential problems and catch them before they grow into larger, more expensive issues. Guelzow Heating & Air Conditioning Service has provided maintenance, repair, and AC installation services to Wisconsin Rapids, WI, residents since 1953. Filter Inspection: An AC system’s functionality is compromised when its filter accumulates dust, dirt, and debris. With regular maintenance, your AC filter is changed frequently—as often as every month when usage is high, and at least every three months otherwise. This ensures that your unit runs efficiently and doesn’t work too hard. Refrigerant Levels: Refrigerant in your AC unit is responsible for absorbing heat that circulates throughout your home. If those refrigerant levels are low, less heat is absorbed, and your AC doesn’t cool your home efficiently. You may also notice that your vents are blowing warm air. A maintenance visit includes a check of the unit’s refrigerant levels. Compressor Damage: Your unit’s compressor is an expensive part that may suffer damage if it begins to leak refrigerant or air. A technician will check the compressor during your maintenance appointment to ensure that it’s in good condition. If not, the leak will be identified and fixed; any refrigerant that leaked out will also be replaced. Catching this problem before it becomes worse can prevent a much more involved AC repair. Lengthened Lifespan: While most air conditioners only operate for a certain number of years, regular maintenance can prolong the average length by catching problems in their tracks and putting a stop to them before they get worse. Saving Money: Regular maintenance appointments are far more inexpensive than an AC repair service. And if that repair turns into a completely new AC installation, you’ll end up paying even more. If you’re hoping to avoid unnecessary costs and keep your AC in great shape for as long as possible, get in touch with Guelzow Heating & Air Conditioning Service. They’ll even come to your rescue if you need a furnace repair when the weather cools down. No matter the time of year, it’s smart to maintain your HVAC unit. For more information, visit the website, or call (715) 423-1086.